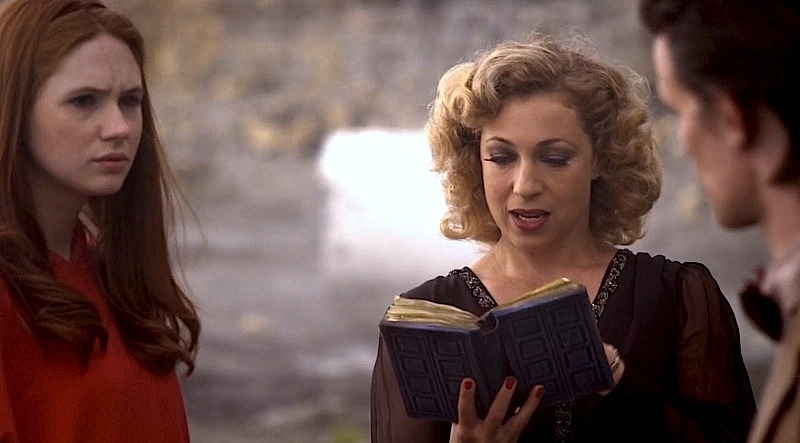 Now I don’t normally like to write entires like this – with SPOILERS – cos I like a bit of surprise when I see the latest Doctor Who episodes for the first time. 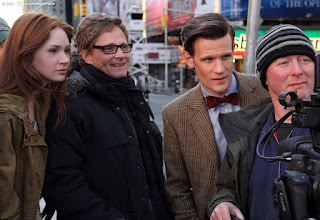 However, various bits of filming for series seven have been widely reported in the press, and some images have even been posted by Steven Moffat himself on Twitter. 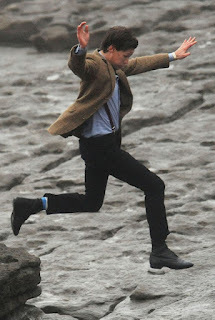 More recently an official set of images have been published on the official BBC website showing the latest filming taking place in . . . . SPOILERS! 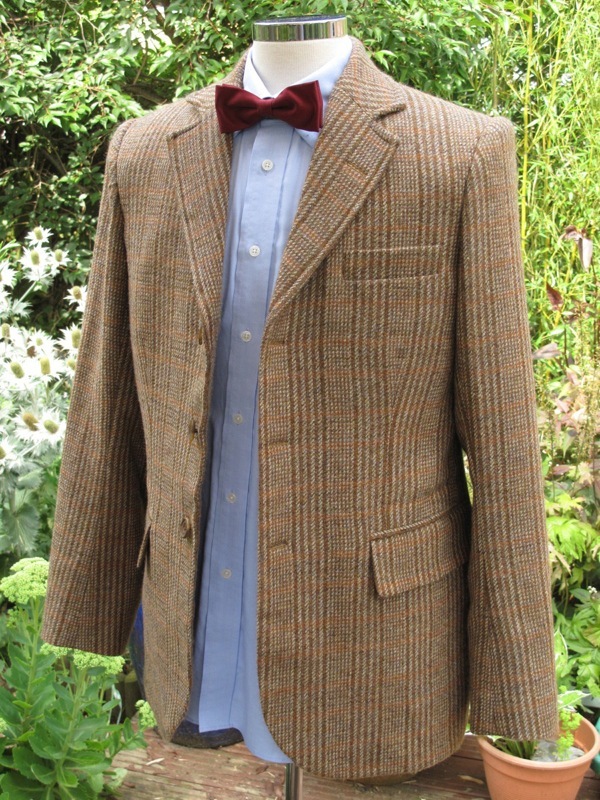 READ MORE to see a preview of what The Doctor will be wearing epiosde-by-episode in the new series. 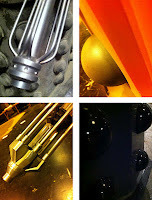 At the Cardiff Convention we were told the season opener heralds the return of the Daleks. 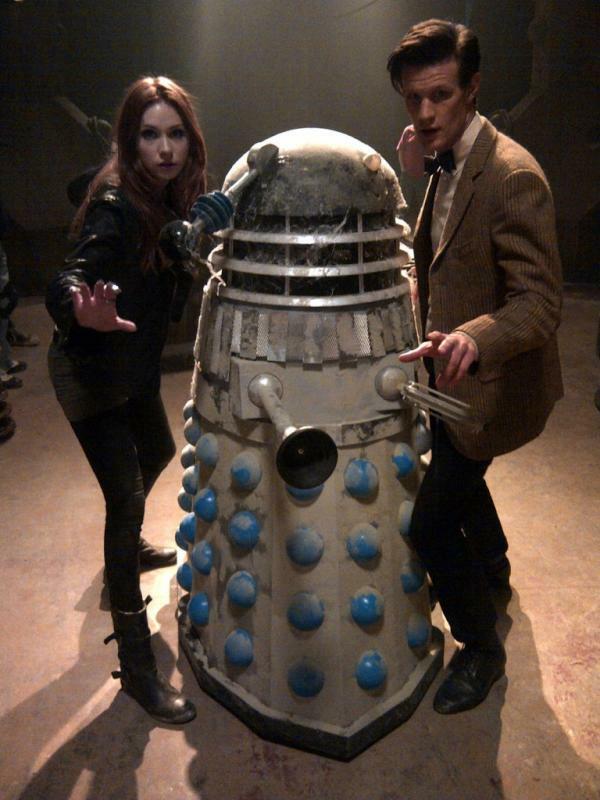 Hardly a week later - on April the 1st - Steven Moffat posted a photo of Matt and Karen with a 1960s Dalek. 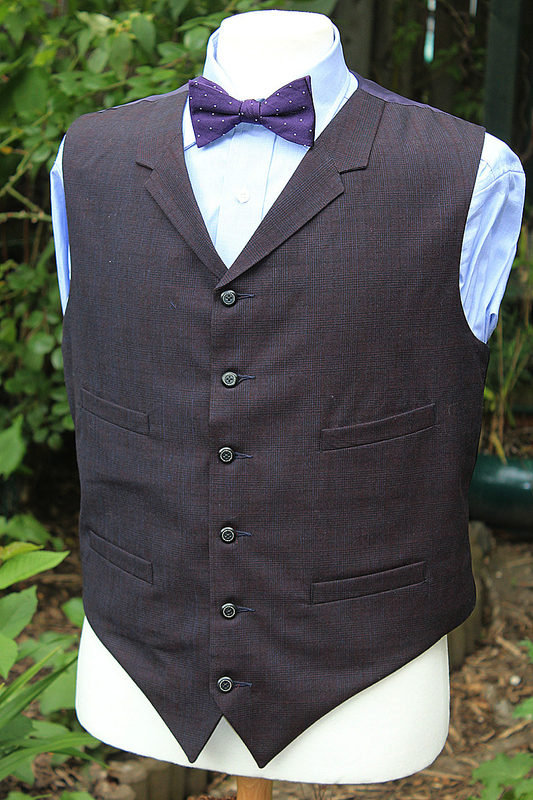 The Doctor is sporting his Shetland Tweed again with what looks like the window pane shirt and a blue bow tie. I did wonder if this was an April Fool’s joke, but further news has emerged that this story contains every Dalek the production crew can gather together. 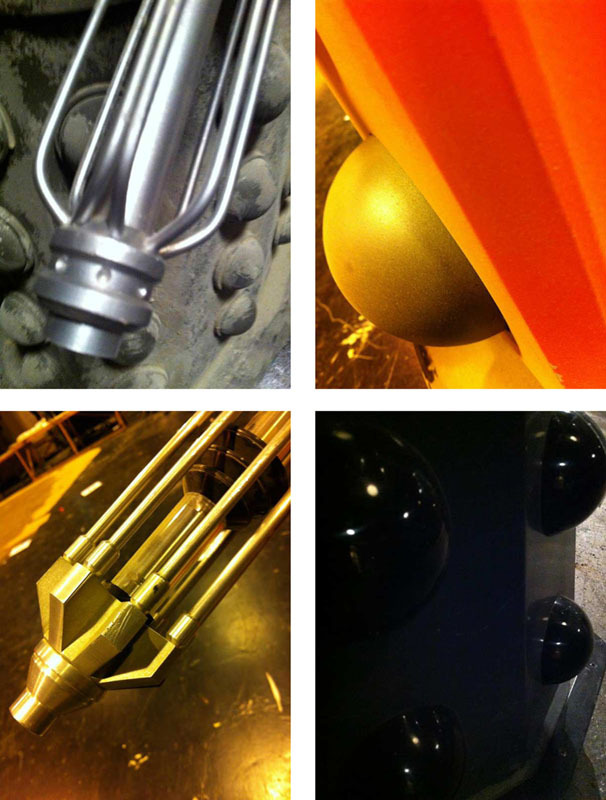 And this week a series of sneaked photos have been shown on the BBC website, teasing a number of bygone Daleks . . .
Rumour has it the title of this story is Extermination Of The Daleks. Not much has been said publicly about this episode, but glimpses of it appear in the trailer that premiered at the Cardiff Convention. The first location filming on series seven took place in Southerndown Beach, Bridgend, previously in Doomsday, Journey’s End and Time Of The Angels. 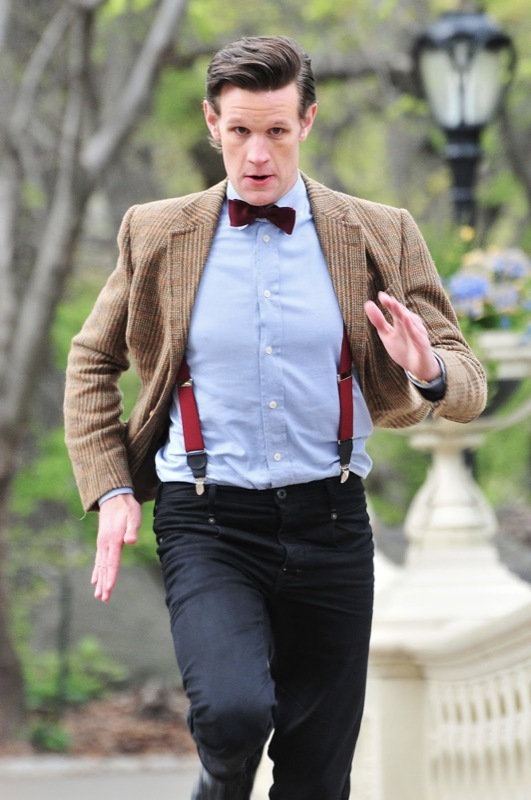 Matt was seen leaping around wearing his tweed, blue shirt with burgundy bow tie and braces. 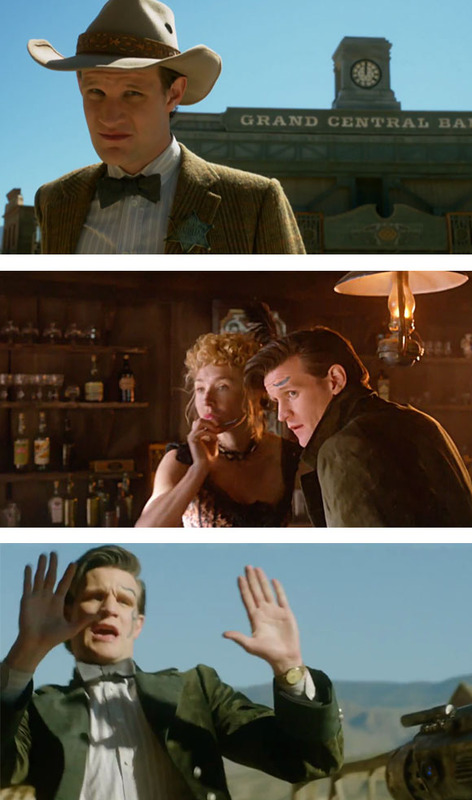 We have been openly told by Steven Moffat that this episode was shot in Spain and is a wild west story. Rumour has it the episode is titled The Gunslinger. The Doctor seems to be the town sheriff at some point in the story. Appropriately he is wearing his ‘Utah’ shirt with blue bow tie, though the stetson he is wear isn’t from series six. 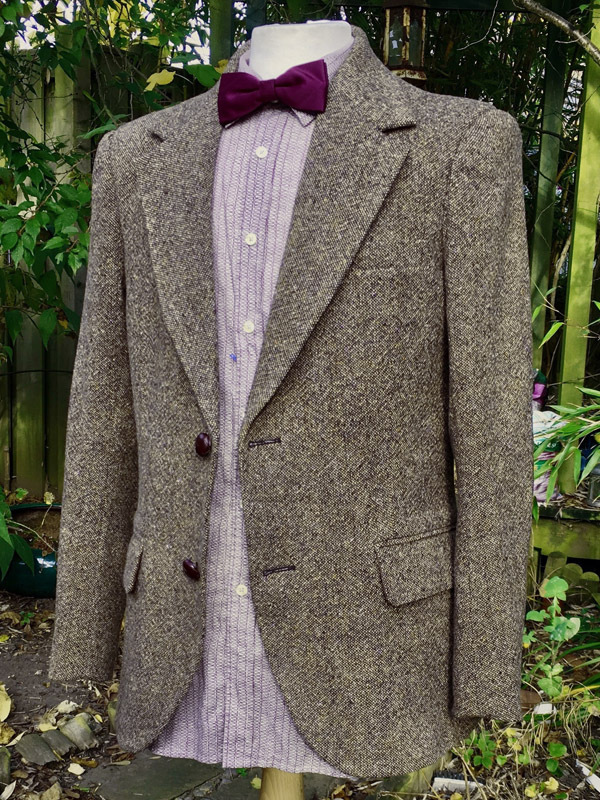 Later he wears an olive green coat, but again not the one from series six. This looks to be some form of period military coat he has picked up along the way. No filming has taken place yet for this story. 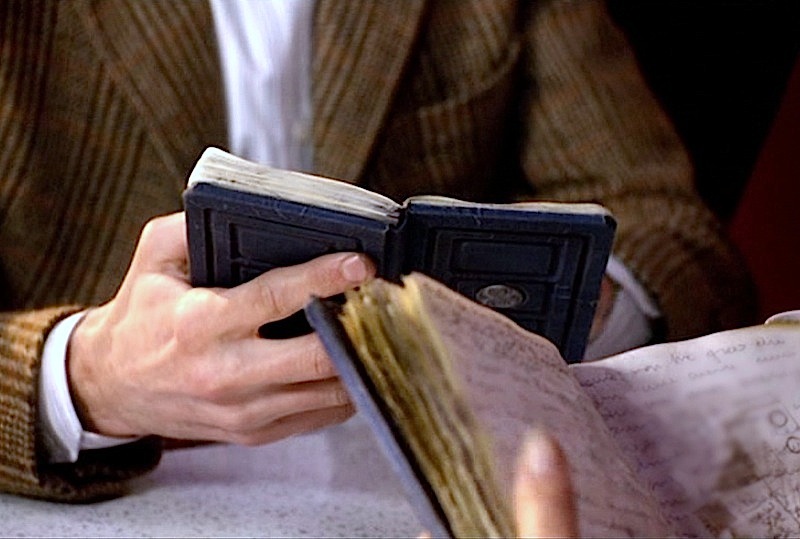 This episode – currently filming – is gaining a lot of attention. 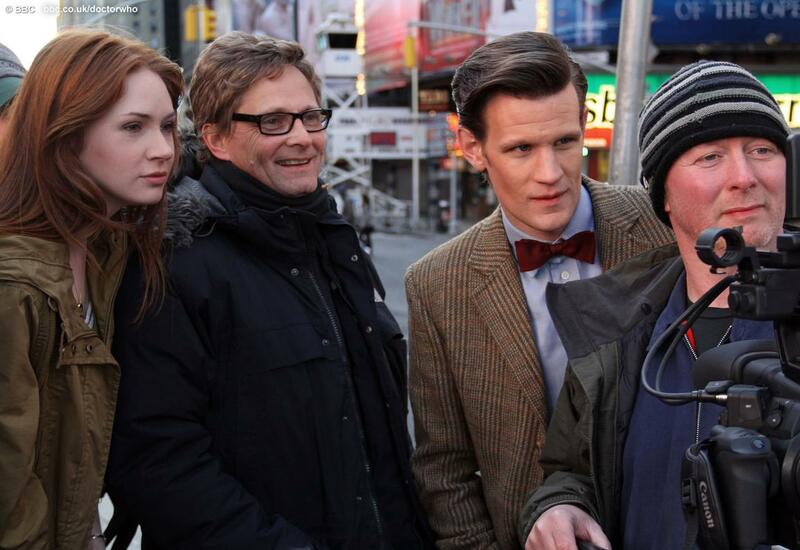 Steven Moffat revealed at the Cardiff Convention that episode five will see the departure of the Ponds; the return of the Weeping Angles; and shooting in New York! 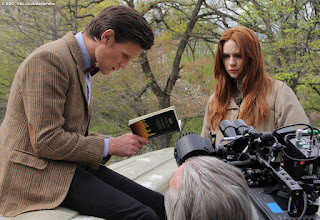 Filming in New York’s Central Park has ben attracting large crowds and photos have emerged of the action taking place. 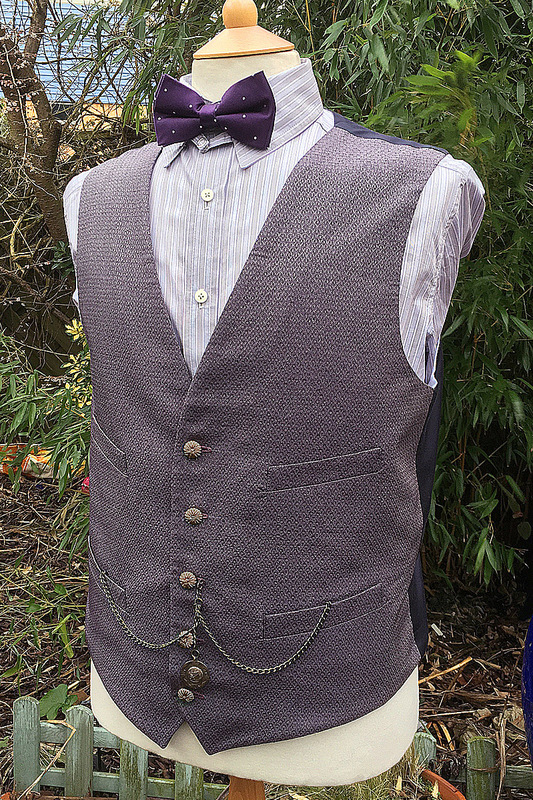 The BBC have issued some nice behind the scenes pictures, show Matt wearing the Shetland Tweed with blue shirt and burgundy bow tie and braces. 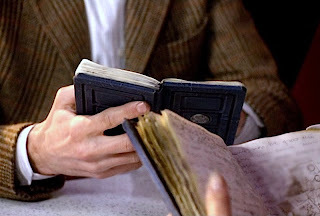 But what the emerging photos have revealed is that The Doctor has distantly new braces, with black leather connectors between the straps and the brass clips. I wonder where these came from . . .
That certainly is't any of his normal blue bow-ties in "The Gunslingers" It's more "fat" around the middle, and it's more of a drak grey with a blueish sheen. I think these are the suspenders you are looking for. Cut sleeves - but not entirely cut price!